Ajax failed to take the maximum advantage of Feyenoord’s slip up last weekend. De Godenzonen played only a 1-1 draw with Groningen last Sunday. They have a tough schedule facing Twente in the Matchday No 26. The clash with the top-part-of-the-table team comes just between two Europa League ties with Copenhagen. Peter Bosz can’t be satisfied with the 2-1 defeat to Copenhagen on Thursday evening at Telia Parken. The team is going through a difficult period in the decisive moments of the season. They still have chances in the contest for the silverware since they trail by four points behind Feyenoord at the top. The home form has been more than impressive, though, as Ajax took four comfortable victories at Amsterdam Arena in 2017. The visitors only have the league competition to focus on. However, the boss Rene Hake is well aware of the limits in his lineup which is way weaker than the ones of Ajax, PSV and Feyenoord. The team is, however, undefeated in last four league fixtures. The positive run has helped them climb up to the sixth position in the standings. Ajax have been much more dominant side in head to head history with Twente. However, the visitors have won the last meeting played in mid-December last year when they earned a 92nd minute penalty to win the match at their Grolsch Veste. Can you believe that Ajax are 2/7 favorites to beat Twente? Even though the host have been pretty impressive so far in the season at Amsterdam Arena, we can’t resist the impression that the visitors are heavily underestimated here. 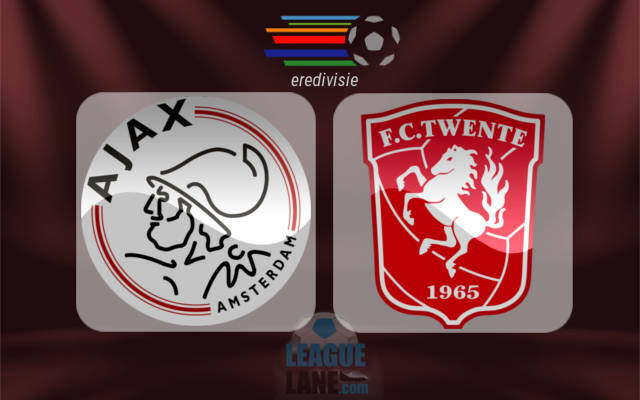 Ajax players must feel fatigue after the tough away game in Dane capital and we don’t see them on 100% in Sunday’s clash with Twente who remained undefeated in last four games in the top flight of the Dutch football. The main betting pick will be Twente +1.5 handicap at the odds of 2.080 with Bet365. You can also try with Ajax Under 2.5 team goals at the odds 1.72.